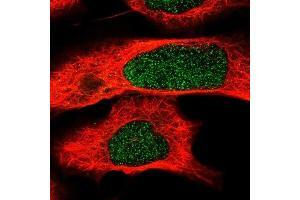 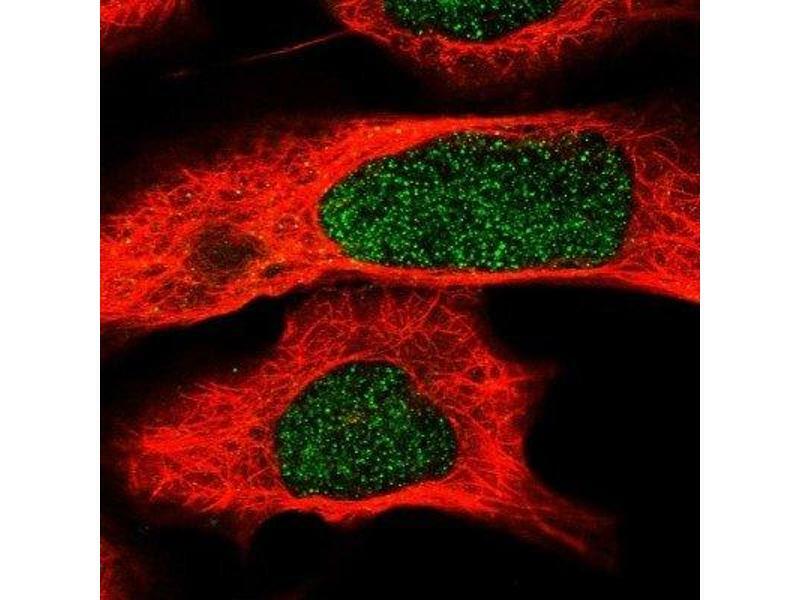 Immunocytochemistry/Immunofluorescence: RALGDS Antibody [NBP2-30584] - Staining of human cell line U-2 OS shows positivity in nucleus. 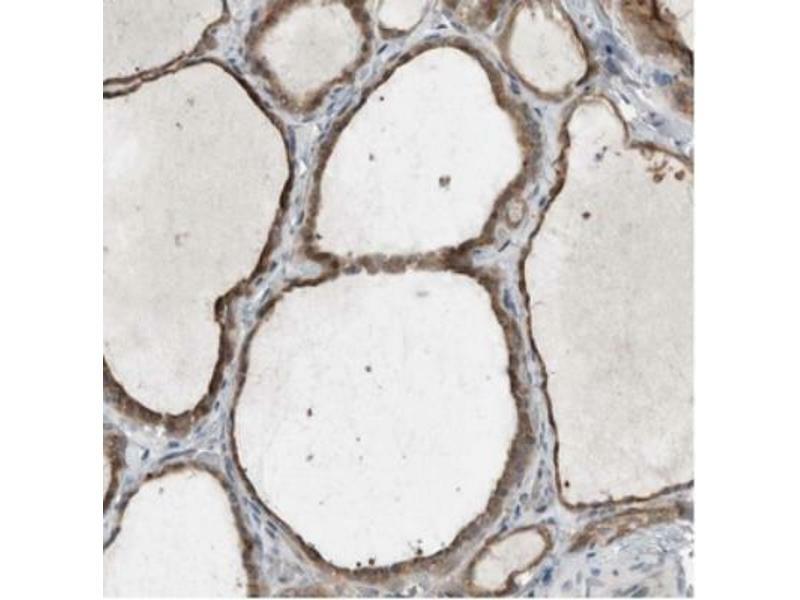 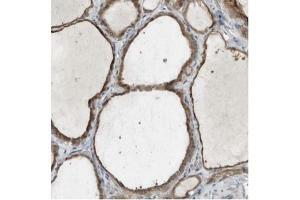 Immunohistochemistry: RALGDS Antibody [NBP2-30584] - Immunohistochemical staining of human thyroid gland shows moderate cytoplasmic positivity in glandular cells. 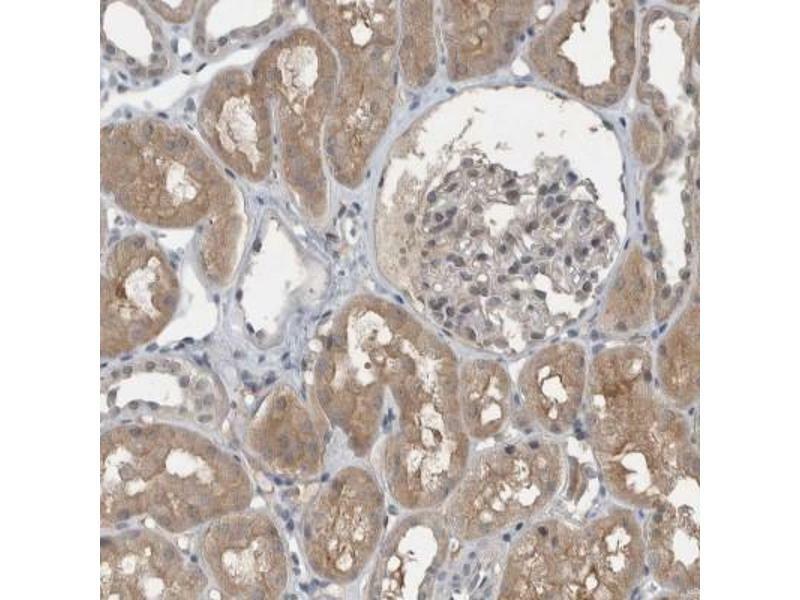 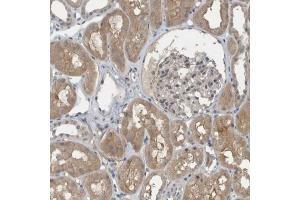 Immunohistochemistry-Paraffin: RALGDS Antibody - Staining of human kidney shows moderate cytoplasmic positivity in cells in tubules.